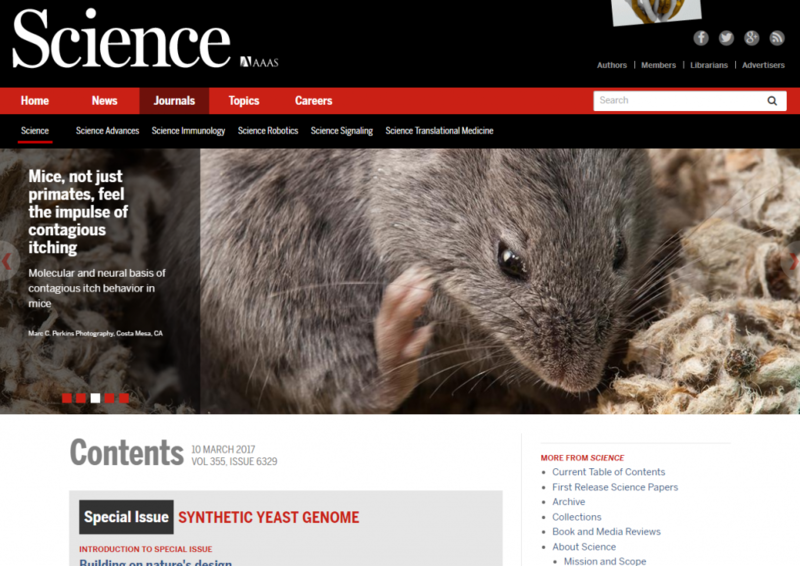 A screen capture of Science’s March 10, 2017 issue’s website (used with permission of AAAS). The image is being used to illustrate the accompaniment to an article on contagious itching in mice. This is now my second image publication in Science; the first was a looser crop of this image, used to illustrate the accompaniment to an article on limb digit developmental patterns. Many thanks to the editors of Science for being repeat customers of my images! And, for the photographers out there who want to know how I did this, the answer is sadly low-tech: I posted a keyword-rich album of mouse closeups many years ago on my Photoshelter website, and the art associates / designers of Science found me. They e-mailed me with an urgent request, and both times we had a contract and price agreed on within a few hours of their first e-mail. I got a little reminder today of a neat use of my images: the Journal of Feline Medicine and Surgery purchased two of my cat tongue closeups to illustrate an article on the medical implications of cat hairballs. The article was behind a paywall when it was first published, but the full text is now freely available.